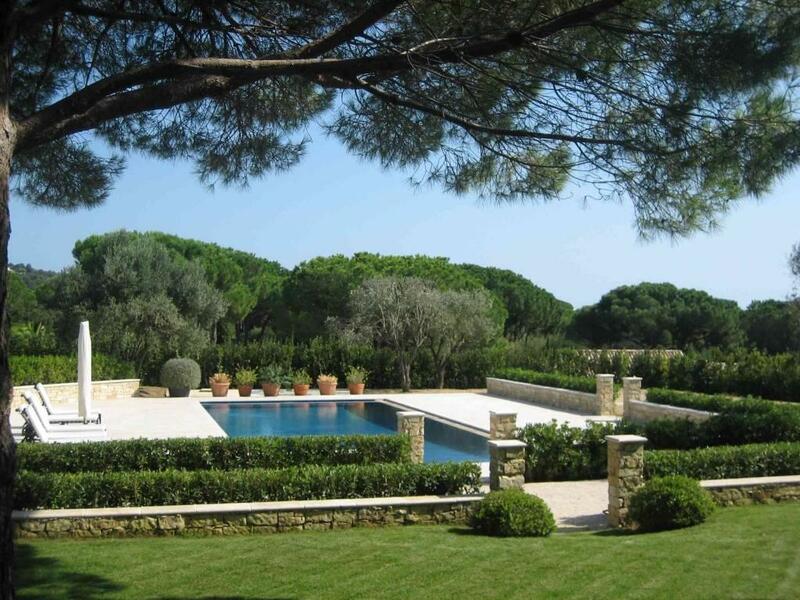 This most attractive traditional villa is set on a hillside in the Parc de l'Oumède, an unspoilt, rural area in the hills behind Pampelonne Beach, between St. Tropez and Ramatuelle. It is just a 2 kilometre drive down the hill to Epi Plage Beach. 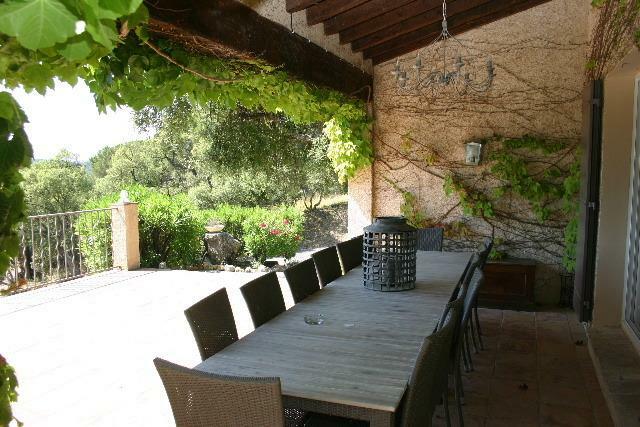 From the house and its front terrace there are wonderful views over the countryside and pine trees to the sea. 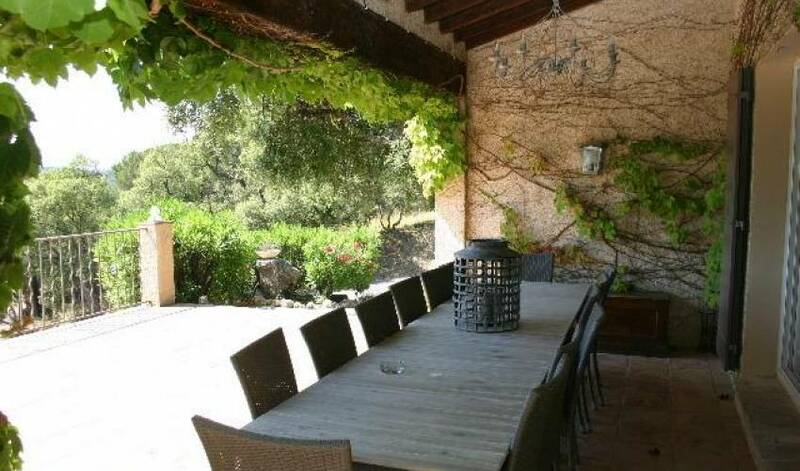 This is a particularly quiet and peaceful property, surrounded by grounds of two hectares on several levels, with trees and a mature garden of flowering plants and vines. 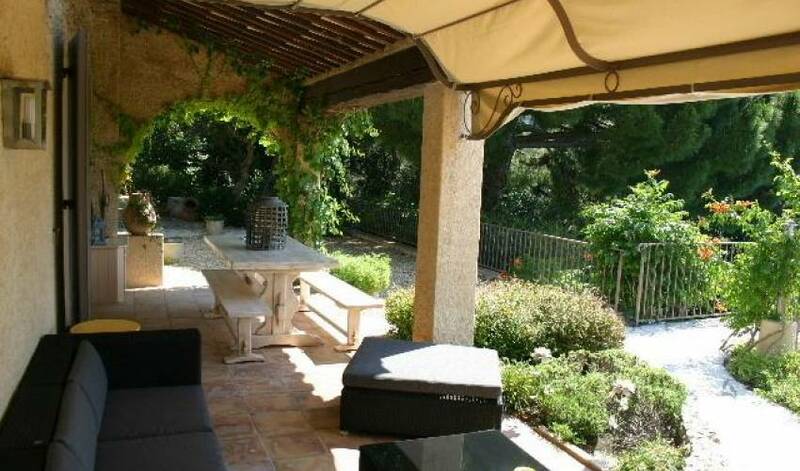 To the front of the house is a terrace with vine-covered pergola and outdoor dining area. 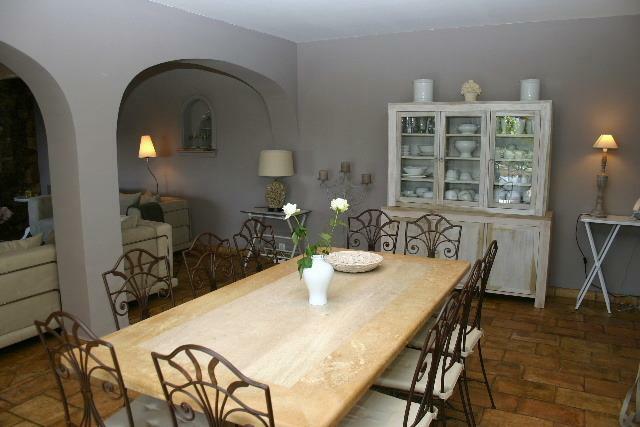 To one side, arches lead to a pretty lawned courtyard with Jacuzzi. 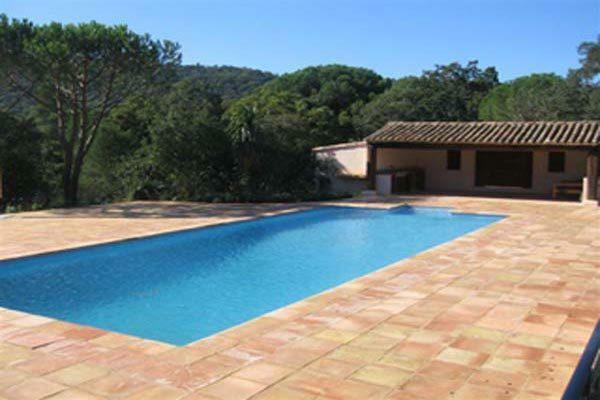 On a lower terrace, the next level down, is a large swimming pool (15 x 6m) surrounded by a sun terrace with fountain, and a pool house with barbecue, fridge and guest accommodation. 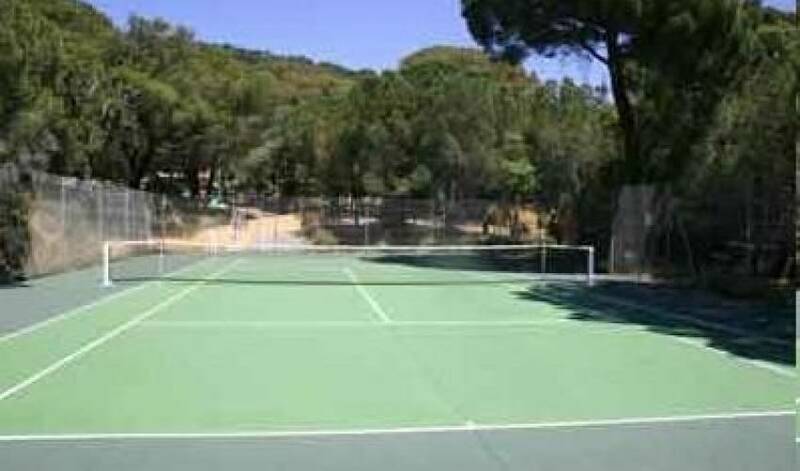 On a lower level still is a tennis court, boules court and a children's play area. 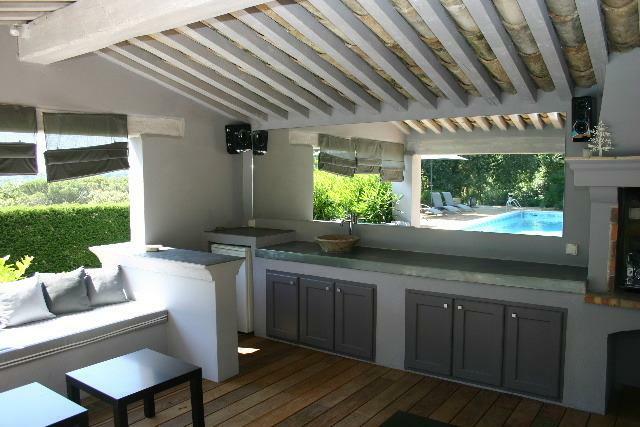 The accommodation consists of the main house, a studio, just across the courtyard with Jacuzzi, and the pool house. 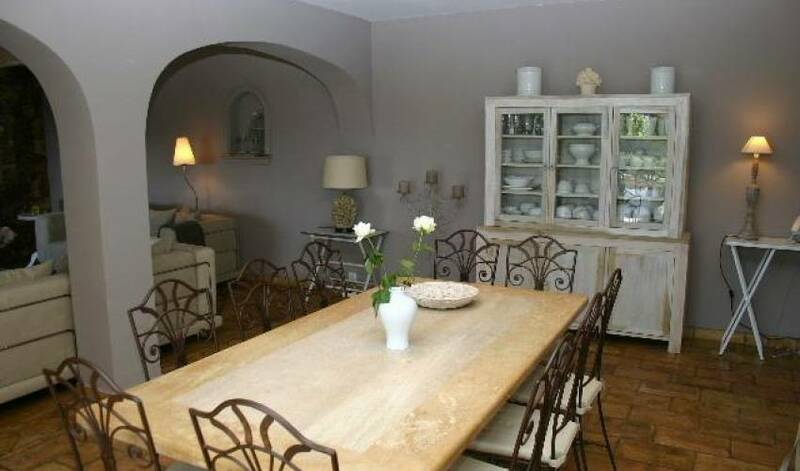 The interiors are decorated and furnished in typical provençal style, with terracotta tiled floors, beamed ceilings and antique furniture. 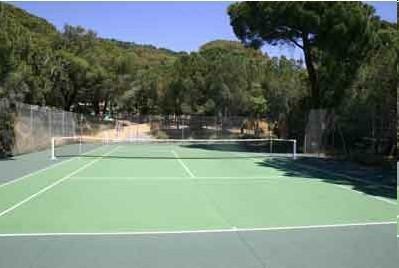 Amenities include satellite television, hi-fi and air conditioning (main house only). Ground Floor Large living/dining room with fireplace and French doors opening to front terrace. 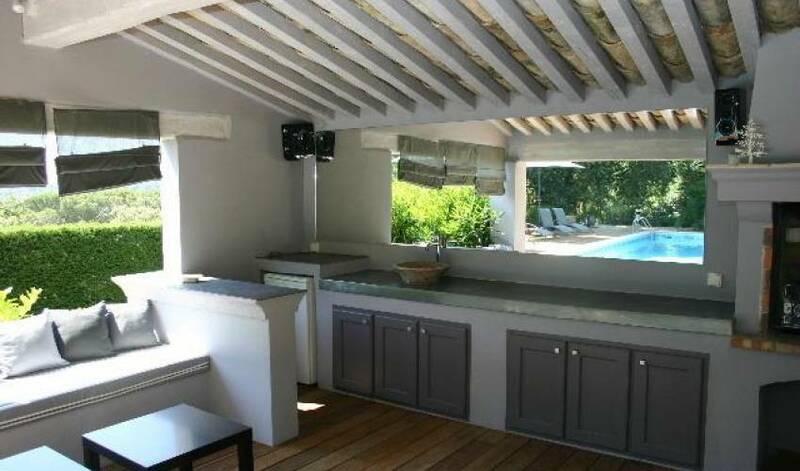 Well equipped kitchen with large fridge/freezer (with ice/water dispenser), microwave, dishwasher and washing machine, and also opening to front terrace with outdoor dining area. Cloakroom. Twin bedroom, opening to terrace. Bathroom. 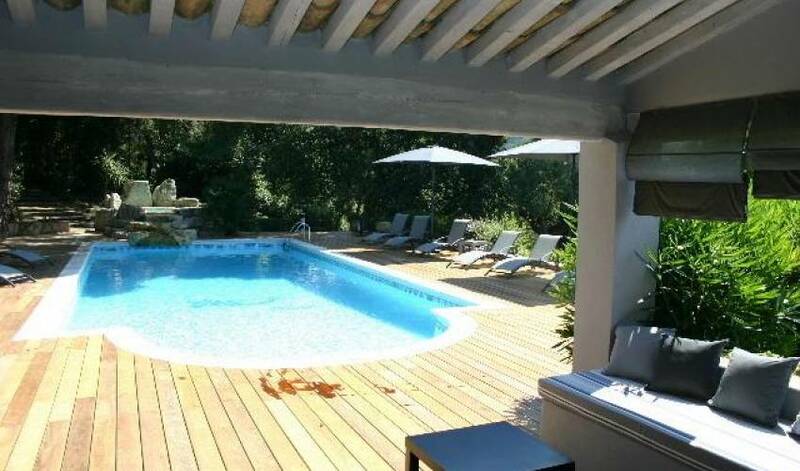 Double bedroom with en-suite shower room, opening to courtyard with Jacuzzi. Double bedroom. Double bedroom with en-suite bathroom. A small mezzanine level above has a single bed and a desk. Obligatory maid service 15 hours per week, payable locally.